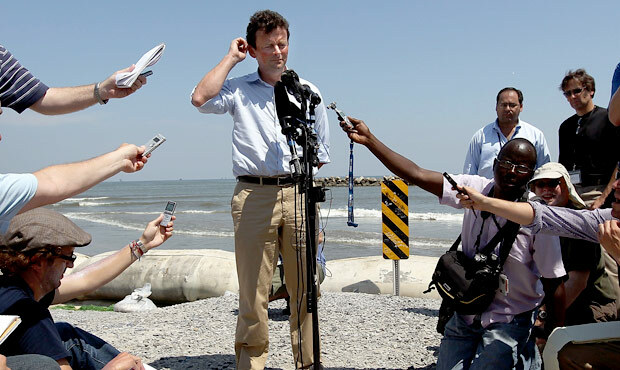 Tony Hayward is reported to be out as the CEO of BP, with a sweet 600,000-pound pension waiting for him (that’s $928K) as a “reward” for not only presiding over the Deepwater Horizon disaster, but performing like a whiny schoolboy in the weeks and months since. “I want my life back”? Congratulations, you’ve got it. refining sector in response to the 2005 Texas City disaster (unfortunately, she apparently failed to have a lasting impact on the oil company with the worst safety and environmental record in the Big Six). In 2008, the S&P 500 fell 38.5%, its worst year since 1937. But the average large company run by a woman was down four points more–42.7%. Women’s average tenure as CEOs tends to be lower and stock performance worse. downward spiral. If BP decides to go this way, you heard it here first. Additional reporting by Danielle Sacks.